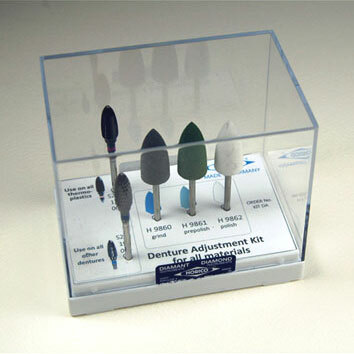 This is a Horico denture adjustment kit. 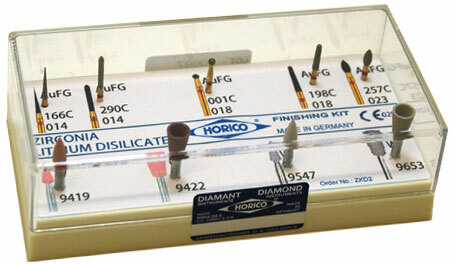 The Horico® Denture Adjustment Kit is effective for making denture adjustments. The Black Hawk burs have fine, smooth-cutting teeth. The grinding, pre-polishing, and polishing points are used for finishing adjustments. - Horico Black Hawk S274 190 060 for use on all other dentures.